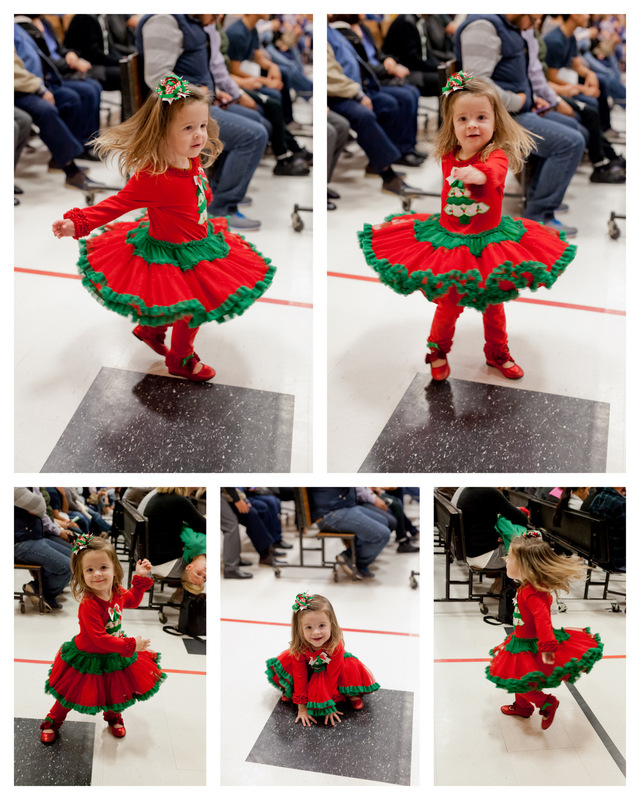 Tis the season for recitals, concerts, parties, and celebration. We officially entered the party season this week. 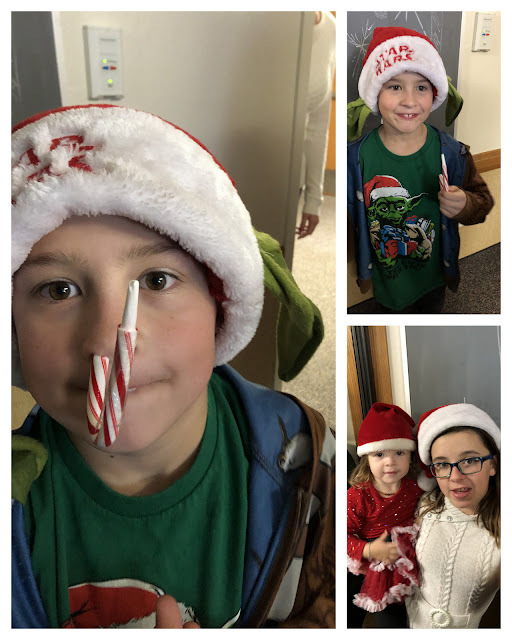 We started our 25 days of Christ on December 2nd. 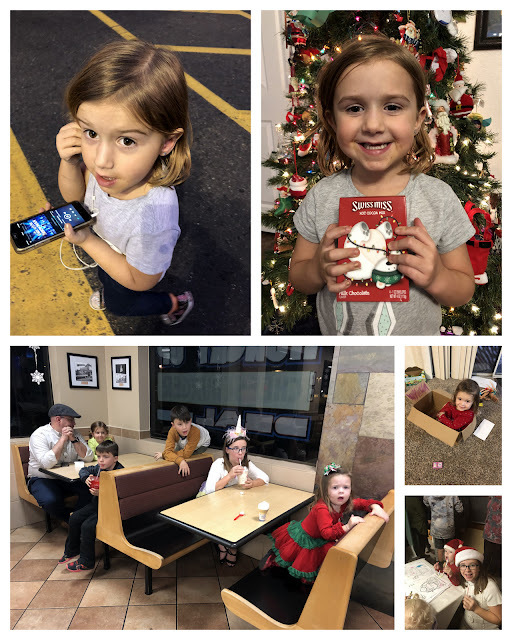 It's a fun little tradition that includes cute ornaments depicting events in the life of Christ, each night you read a set of scriptures, watch a bible video, and talk about His life as a family. The kids love to string the ornaments on the twine I have nailed to the wall. We got to wish Uncle Jared a Merry Happy Birthday! Monday was mostly spent shopping for food and forgetting another dental appointment. It was even in my calendar, I should plan to check my calendar more often. I promised Evelyn a Happy Meal if she took more photos on Sunday. So we had an easy dinner at McDonalds much to everyone's enjoyment. Hooray for FHE spent out and about. Amelia was quite the little stinker on Monday evening as we worked to clean up toy clutter. She refused and was sent to her room in a rage. She lost texting privileges and got to deep clean the bathroom for her poopy behavior.Tuesday I cleaned up the house to level expert clean, it was sparkly and so nice. Once the kids came home I put them (and their friends) to work cleaning the yard and washing windows. Once it was clean we left so the kids would not mess it up. Phillip had scouts so I was busy driving here and there with the kids. 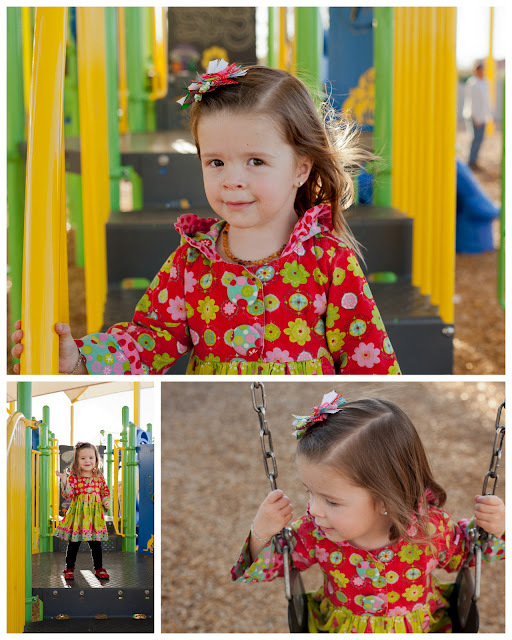 Amelia and Chloe took a walk over to the park and back. Our piano recital went well! The kids practiced so diligently and knew their songs to perfection. We talked extensively about performance behavior, how to act after a misplayed note, etc. I accompanied most of the kids since 5 of the 7 are beginner level. I moved the furniture around to accommodate around 50 people in attendance. The kids all sat on the floor and the adults perched in available spots. It was crowded!! Phillip and Everett are two of my students! They loved practicing with me at their leisure. Phillip played Book of Mormon Stories and Jingle Bells. Everett played Chimes and Away in a Manger. After the recital we enjoyed doughnuts and chocolate milk! I'm sad I did not get a photo of the night. Wednesday after Amelia's piano lesson we headed to the park for a couple hours to play. The weather is brilliant right now. My new lens is driving me crazy, it is front focusing (meaning focusing 1-2 inches away from where my focus point is). All my photos are not crisp where I WANT them to be crisp. I even spent the hour+ to drive all the way to Tempe Camera, I was ready to drop it off but the tech changed one camera setting and convinced me all my troubles were solved. Made me upset that the problem was not solved and I wasted a precious 90 minutes for nothing. Now I have to go back next week. Thursday Chloe came over with Mia again after school (third time this week!) since the girls had a strings concert at 6 pm. They were outside walking around our block just acting like 11 year old girls. A younger neighbor was fetching her mail and walked over to the girls accusing them of knocking on her door and running away. She was quite determined to scare both girls. This lady said, "I caught you little witches! I caught you ringing my doorbell. Just so you know I have you on video so don't even try to lie about it." Both girls ran in and told me about the confrontation. They were scared and crying. I ran out and caught up with our neighbor to figure out the situation. She accused the girls of destroying her property on Wednesday around 5 pm and that she had them recorded on video. Funny thing, I was at the park with all my kids until well after 5:30 pm. She refused to believe me and continued to be belligerent. I felt so upset that #1 she accused the girls without basis #2 that she did not talk with me first (she has my phone number and address) and #3 that she was so rude about the entire situation. I'm fine a few days later, it's not a big deal anymore, we can still be friends...BUT seriously?! Let's just be kind. Kind and give folks the benefit of the doubt. 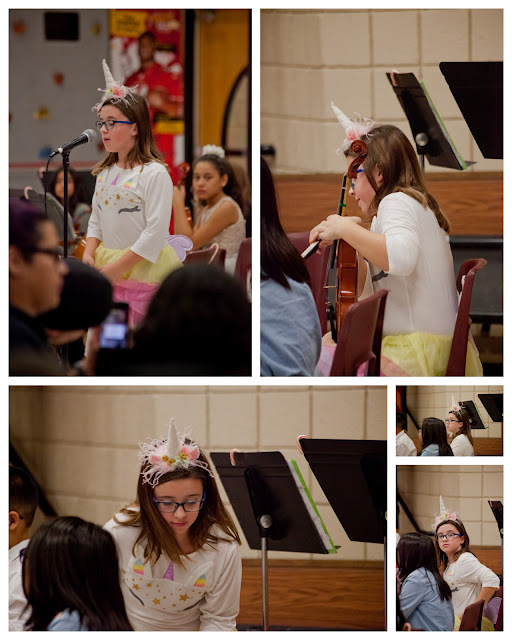 Amelia dolled herself up as a unicorn for the recital. When Justin saw her he immediately thought, "Always be yourself, unless you can be a unicorn, then always be a unicorn." She is a magical creature. The 5th grade performed first. Amelia announced the second piece, Russian Music Box. The kids sounded quite screechy but not as bad as the first year! Ha ha ha. Josie enjoyed spinning to the strange music. Everett wondered why he was not allowed to spin like Josie. Phillip sat quietly and drew silly pictures of farts and animals farting. We treated the kids to ice cream for all their hard work perfecting their music skills. I had another series of doctor appointments this week, doctor, sleep center, dentist, then doctor. Getting my fatigue diagnosed is well, fatiguing. Josie and Gabriella were good sports at most of the appointments. After one appointment we went to Target for some Christmas stuff. Josie saw a Skye Paw Patrol hooded blanket. She patted her head and squealed! Skye! On my HEAD! That went into the cart. Then she saw a Shimmer baby doll which also went into the cart as her Christmas gift. During her nap I hid those two items. She spent a good while searching high and low for her baby and Skye head. Guess she is getting too old to take shopping and pull the wool over her eyes. The girls and I enjoyed a night out at San Tan mall on Friday. Amelia had a burning desire to shop for her Christmas gifts at Claire's. Evelyn wanted some fancy earrings for her new ear piercings. 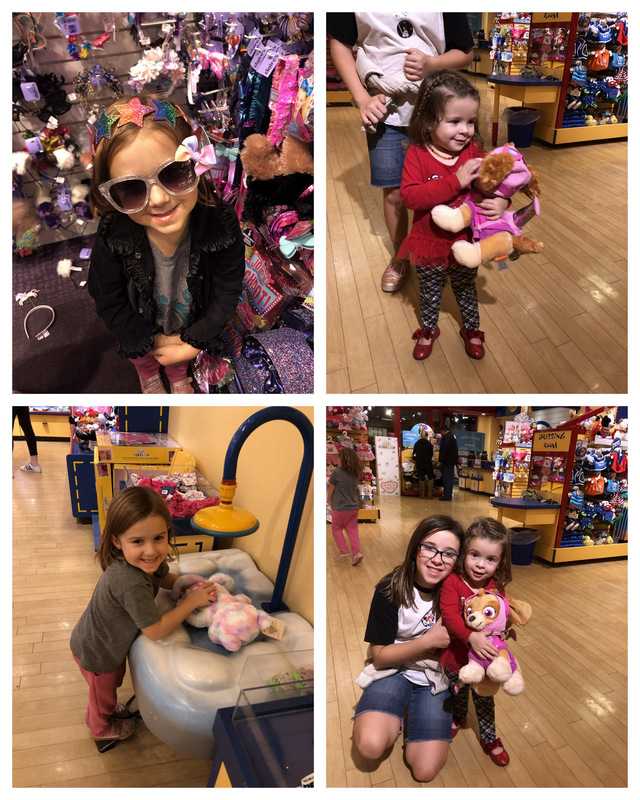 We had quite a lovely time browsing Claire's, The Disney Store, Build a Bear, and Bath and Body Works. 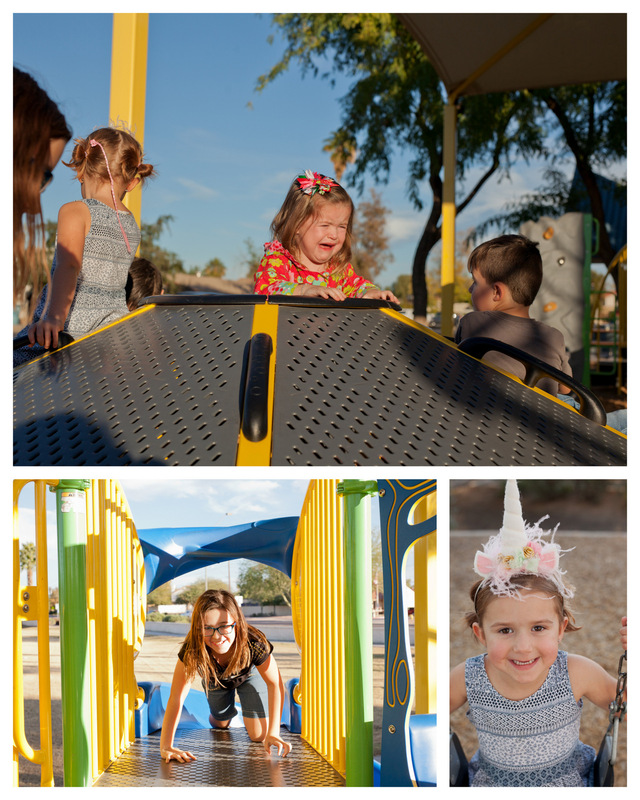 The girls even got to play for a bit at the play structures. The boys stayed home and watched Star Wars. Boring! 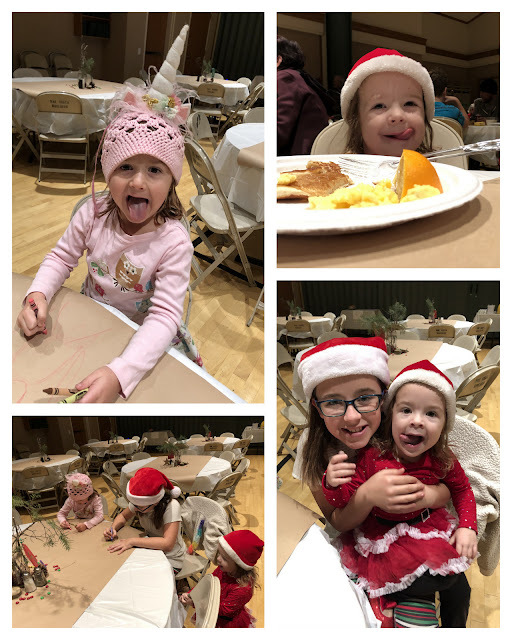 Saturday morning our ward hosted a Christmas breakfast. We woke up to fog, yes! FOG! Breakfast was biscuits and gravy, pancakes, eggs, fruit, and milk! Every table was filled up with families and friends. It was quite well-attended this year. 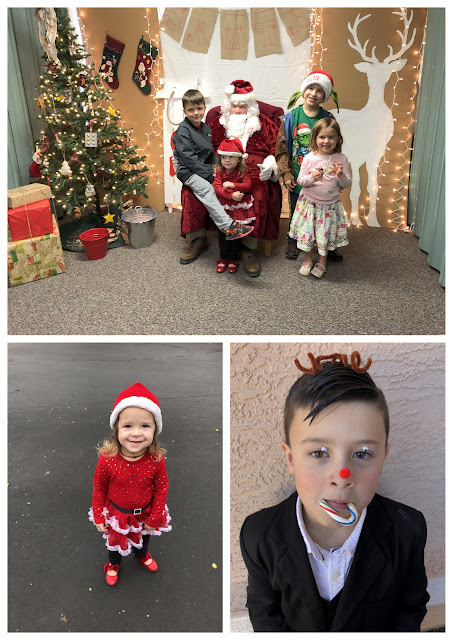 The kids had a chance to visit with Santa. Amelia skipped out for the first time ever. Evelyn was near terrified to be more than 5 feet away from Santa. Josie skipped up parroting, "I want LOL" over and over. Phillip decided he wanted a bag of bagels (?) from Santa. That kid! Everett asked for a Q-ba marble maze set. Evelyn wrote her request of eye shadow and an LOL. I've had a silly photo in my head for a while of the kids "taped" to the wall with duct tape and the culprit holding the tape. 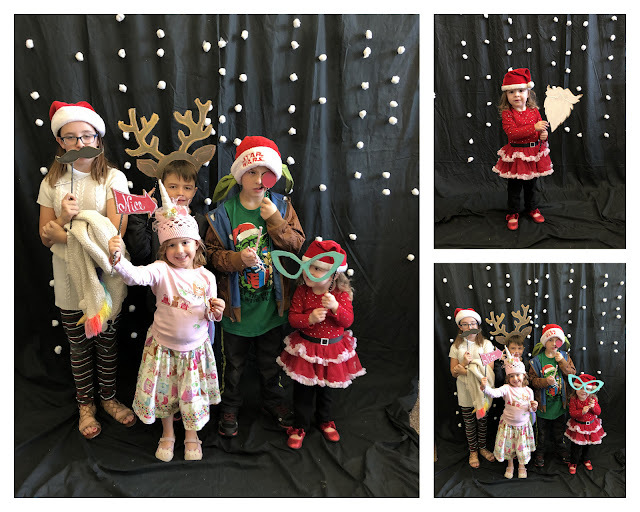 All the kids were game for silly photos! My compositing skills are terrible but the shoddy work turned out alright! Amelia had the idea to be the culprit instead of Evelyn (as I imagined it). The rest of our day was quite boring. Justin and I went to Hobby Lobby and Walmart after dinner and kid baths. He wanted to take me Christmas shopping. Yes, yes Please. I now have to wait for January to redecorate with my new Christmas gifts. Amelia, Justin, and I attended a youth meeting during church addressing future activities involving temple work! The Bishop has plans to rent a bus once or twice and take the youth to various temples around the state and maybe to Vegas or California next year. Amelia will get to participate after her birthday in April. 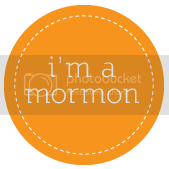 Our ward is putting a strong emphasis on family history and temple work this coming year. Blink...we almost have a Beehive.